Remember the Samsung Galaxy Beam? The Android smartphone from Samsung with a projector? The one that was unveiled at the Mobile World Congress 2012? While there was news earlier that India will get the smartphone by April, it was somehow delayed. 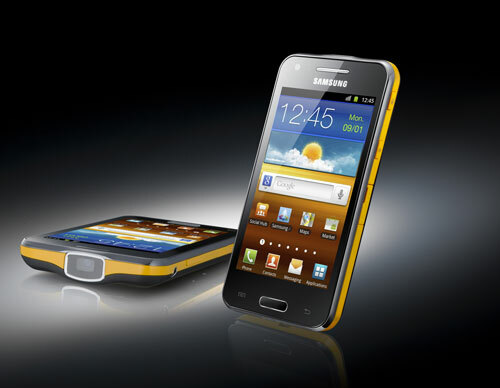 But now the smartphone has made its way to India and is now available for pre-order at Samsung’s eStore. Priced at Rs.29,990, the Galaxy Beam has a 4 inch display with 480×800 (WVGA) resolution, 1 GHz dual core processor, 786MB or RAM, 8GB of internal memory and expandable via microSD card, Android 2.3 Gingerbread, 5MP rear camera with flash, 1.3MP front camera, 2000mAH battery and of course a projector which allows you to project photos and videos up to 50-inch wide.